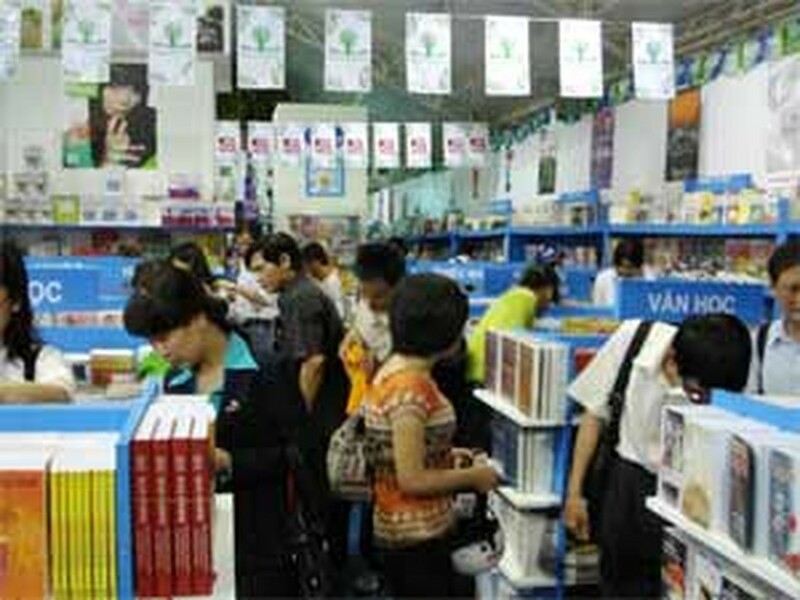 The fifth HCMC Book Fair 2008 was officially opened yesterday at Le Van Tam Park, Ho Chi Minh City. It hopes to introduce and popularize a reading culture among local residents and others from outside the city. The fair was held by the Sai Gon Culture Corporation, the Ho Chi Minh City Book Distribution Corporation (FAHASA), the HCMC Department of Culture and Information and other local publishing houses. Under the main theme “Book – Knowledge – Integration and Development”, the fair has become the biggest of its kind in the city. It has attracted over 100 domestic and foreign publishing houses to participate and set up 300 book stalls. More than 150,000 book titles with 15 million printed works will be presented and sold at a 10 percent discount. According to Mr. Le Van Tron, Head of the Organizing Board, the book fair has received considerable attention from foreign entrepreneurs as it has drawn 23 foreign publishing houses to join the festival with their 44 books stalls providing thousands of book titles. The fair is also a good opportunity for publishers to introduce their books to readers, increase sales and to understand readers’ requirements to better meet their demands. On the opening day, 50,000 people attended the festival. It is expected to receive more visitors and to earn about VND10 billion (US$625,000) in revenue before its closing date on March 16.